Dedicated to the care and keeping of brassy women. brassy is dedicated to the care and keeping of all women, regardless of race, anatomy, sexuality, class, geography, or any other factors used to divide us. We recognize that the issues one woman faces is an issue for all women to tackle together and believe that women’s work is intersectional work. Brassy women are women who work to live unapologetically. We try to live boldly and acknowledge the whole self, always allowing for growth and change, embracing womanhood, but also leaning into the complexity of our human condition. 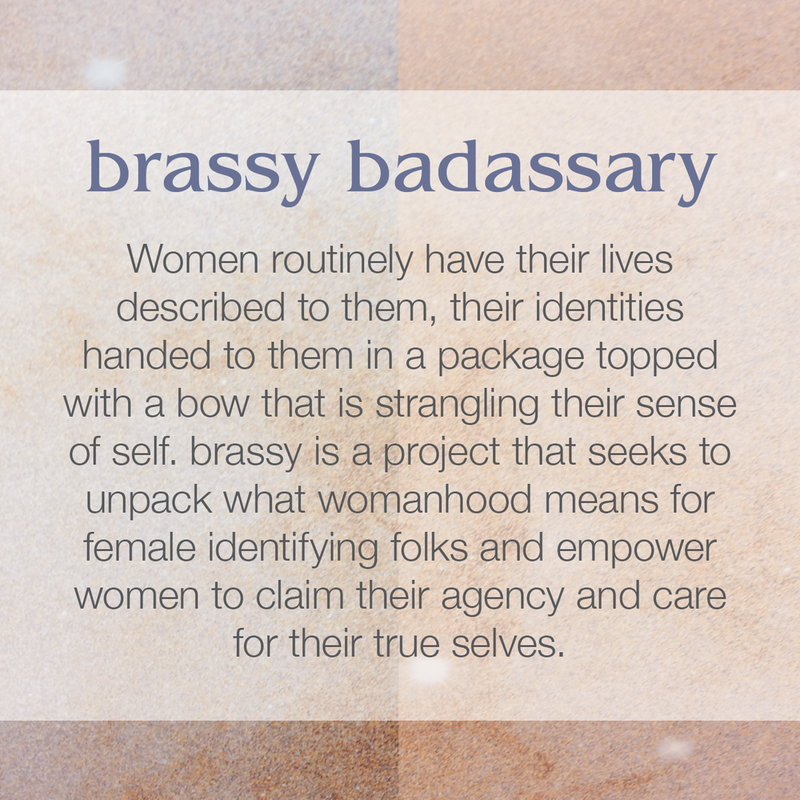 Brassy women embrace other women, embrace self-love and compassion, and work to change the world every day. brassy is a project that seeks to unpack what womanhood means and empower women to claim their agency and care for their true selves.